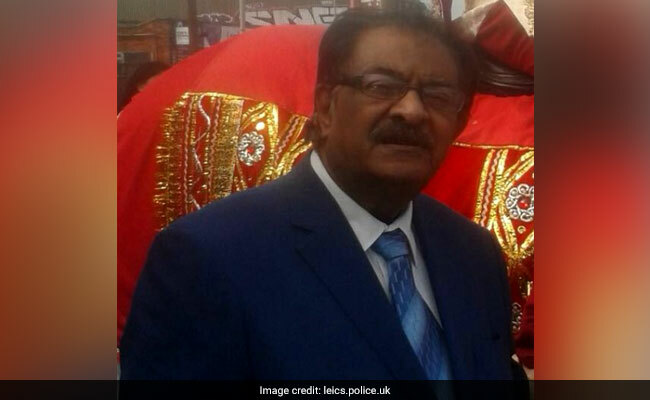 Ramniklal Jogiya, 74, had gone missing as he walked home from work and was later found dead in a nearby lane, triggering a murder investigation by the Leicestershire Police. London: British police have charged a fourth man in connection with the kidnap and murder of an Indian-origin jeweller who had been found dead in the city of Leicester last month. "Javon Roach, 29, of Norwich Road, Leicester, has been charged with kidnap and robbery of Jogiya," a police statement said on Saturday. Roach will appear before Leicester Magistrates Court in Leicester tomorrow. Earlier this week three men, aged 19, 20 and 23, were also charged with kidnap and robbery in connection with Mr Jogiya's murder. They have been remanded in custody to appear at Leicester Crown Court on February 28. Two men, aged 22 and 18, were released under probe and two other men, aged 20 and 21, were released with no further action. Police have renewed their appeal for information as anti-crime charity Crimestoppers has announced a reward of 10,000-pounds for anyone who can shed further light on the attack. Ramniklal Jogiya, the father of three sons, was last seen on CCTV footage locking up and leaving the family's jewellery store on Belgrave Road known as the Golden Mile due to its row of jewellery shops, mostly run by Indian-origin merchants. Police are reportedly also hunting for a shopping trolley seen being pulled by a person who entered Mr Jogiya's store minutes after he had locked up. A person was caught on CCTV "pulling a trolley and wearing a burka" as they entered the shop. CCTV footage of a motorbike, which is being linked to Mr Jogiya's death, has also been released by police. It was seen riding in convoy with a white van. The lead detective in the case Detective Chief Inspector David Swift-Rollinson has issued an open letter appealing for help to solve the murder. "Jogiya was a husband, father, brother and well-known businessman who was innocently walking home when he was pulled off the street and bundled into a van," he said. "I cannot even begin to imagine the fear he must have experienced that night, how scared and frightened he would have been and the violence he may have experienced before he died," Mr Rollinson said. He urged people to come forward anonymously if they are afraid, saying there are "variety of techniques, methods and safety measures we can put in place to preserve your identity and protect you". Ramniklal Jogiya's family had earlier issued a statement through Leicestershire Police expressing their devastation at his death and paid tribute to a loved member of their "close knit family". The killing has caused a great deal of unease within the local community, dominated by Indian-origin jewellers. Local Leicester East MP Keith Vaz also called a public security meeting earlier this week. "The community in Belgrave has been shocked by Ramniklal Jogiya's death," Vaz had said. Local police have deployed a large contingent of officers to patrol the Belgrave Road area and have been visiting local businesses to reassure them.